On 24th January 2018 the European Committee for Standardization (CEN) has made available the final text (ratified on 13th November 2017) of the European Standard EN 17033:2018. The document specifies the requirements for biodegradable mulching films, to be used for applications in agriculture and horticulture. The standard is only applicable to films that will demonstrate to fulfil the provided biodegradability criteria in soil at room temperature (CO2 release higher than 90% relative within 24 months) and that at the same time do not produce negative environmental impacts. The standard does not concern traditional plastic films, that need to be removed after use. The document specifies the test methods to assess the biodegradability in soil and to exclude ecotoxicity effects on the environment, as well as the main mechanical and optical properties that films should have in order to ensure good performance on the field. Moreover, requirements are provided for identification and marking of films, to make sure that operators can recognize the biodegradable ones. Furthermore it defines a classification of good practice for the use of biodegradable mulch films in the field. At the latest by July 2018 the European Standard must be implemented at national level, either by publication of an identical text or by endorsement, and conflicting national standards shall be withdrawn. The introduction of this standard represents an important and long-awaited step towards the creation of an international standards system that clarifies the “biodegradability in soil” criteria, according to a circular economy approach. Biodegradable films offer in fact an agronomical and environmentally efficient alternative because at the end of the crop cycle they do not have to be removed or disposed of, allowing the reduction of waste otherwise difficult to recycle. 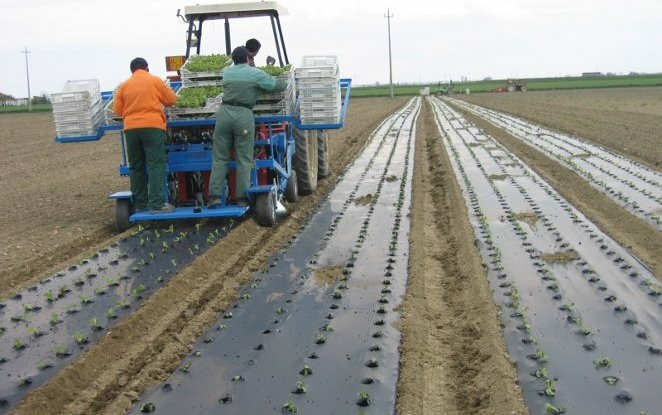 Discover more on "Plastics - Biodegradable mulch films for use in agriculture and horticulture - Requirements and test methods"